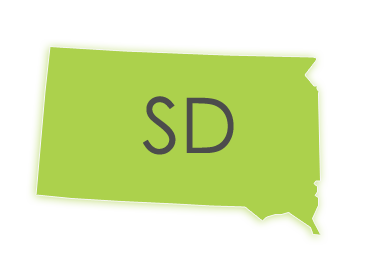 Are you looking for a South Dakota court reporter on short notice? You’ve come to the right place. Let Discovery Litigation Services take care of the legwork for you. We’ll provide a quality realtime ready video streaming enabled south dakota court reporter anywhere you need. Utilizing the latest in technology not only allows us to supply unparalleled quality, it simplifies the entire process and makes it more transparent and cost-effective than ever before. In a world where you can communicate from Los Angeles to Bangladesh with the click of a button, for pennies, why would you settle for a subpar court reporter just because they are available and local? We live in a technological age that has taken what was once analog and pushed it into the digital world allowing us to beam virtual anything anywhere in the world. What is Real Time Ready Court Reporting? Realtime Ready Court Reporting provides a direct translation from the court reporter’s shorthand typed directly into the stenograph into an easily accessible, readable language such as English, and transmitted to a screen for viewing in real time. Our Realtime Ready Court Reporters are held to a higher level of standard knowing that their words will be immediately transmitted on the spot. This means an increase attention to detail, an extremely high level of accuracy and professionalism. You deserve the most advanced technology that will help you manage your case effectively. Discovery Litigation Services is an industry leader in providing litigation support from court reporting to pretrial strategy. Our team coupled with current digital capabilities work in tandem to keep your costs on point and your options wide open. With the Discovery Litigation Services’ platform you can avoid getting bogged down in the troubleshooting and digital limitations to which you have grown accustomed. We offer seamless solutions to monitor costs and conduct and manage your deposition while employing the most experienced professionals for the job. Get straightforward invoicing and billing so your client can quickly and easily see where the budget was allocated. You’re busy. That’s readily apparent. The last thing you need is a budget-hounding client riding your every move, questioning every decision you make and hindering your ability to provide them with the best quality and care possible. Discovery Litigation Services offers an incredibly transparent process that allows you to easily control costs and report back to your client exactly how and where that budget is being spent. Our team is staffed with professionals experienced at every stage of eDiscovery and trial litigation as well as alternative dispute resolution options. We can confidently provide you with the best services for your case without the bloat and extra expense of superfluous features. From the bare bones and simplest of needs to a comprehensive pre-trial strategy, Discovery Litigation Services has you covered. Put your client’s mind at ease and take a load off your own shoulders by adding the transparent efficiency provided by Discovery Litigation Services. Just by scheduling your deposition or making a call, you will be setting yourself on a clear path to taking control of your time, budget, and sanity.